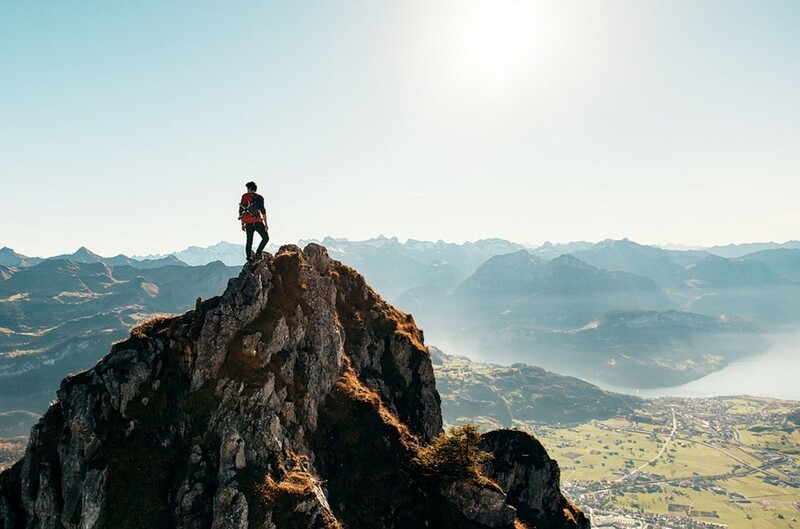 Each of us has definitely something on the wish list that goes beyond our settled mode of life: to jump with a parachute, to raft down a turbulent river, to go downhill skiing or snowboarding... Then again some people require an adrenaline rush not just once in their lives but constantly. This material will be useful to all! Here we will tell you what types of extreme activities are the most popular and available in Kazakhstan. Extreme means a certain risk. Therefore, all of the following types of extreme leisure require either hard training or work in tandem with an experienced instructor. There is no independence in the beginning! Luckily, today the tourism industry, including the extreme one, is developing by leaps and bounds in Kazakhstan, the offers at the market are very diverse. These include air trips on small triple planes where the active piloting is provided at the client’s request including a combat turn, a corkscrew, a slide. These include training in paragliding and hang-gliding, parachuting, river rafting, and much more. We have identified for you the top five most popular and affordable types of extreme recreation. During winter time the mountain skiing and snowboarding hit record numbers. Today the mountain skiing services are of better quality and much more diverse than some ten years ago. The slopes both for the beginners and the professionals are practically everywhere. And there are more ski resorts. Almaty region is a leader in the quality of service, however, ski resorts of the Eastern Kazakhstan region benefit from climate conditions: here the snow on the slopes lasts much longer (from mid-November to mid-April), thereby delighting all the fans of this type of extreme recreation. The snowboarding attracts mainly young people, the guys who are ready for training, active, fearless, and always on the move! Today in our country there is an opportunity to learn not only to ski and snowboard, but also to undergo professional training courses for instructors in mountain skiing and snowboarding. 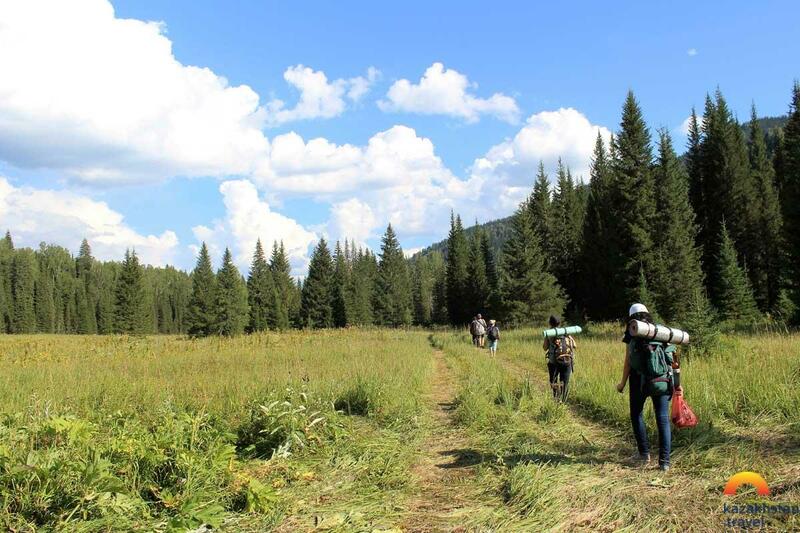 In particular, such courses operate in the Eastern Kazakhstan region on the basis of the Altai Alps Ski Resort where the teachers are the members of the National Russian League of Instructors (NLI). During a warm season the mountain ski can be replaced with the water ski! The water skiing is now actively practiced on the Kapchagay Reservoir, Alakol, the Caspian Sea. It would seem that in Kazakhstan, the country of the Great Steppe, there could not be a large number of divers. You will be surprised but during a warm season it is the most sought-after type of extreme activities. Of course, the underwater world of our water ponds is not as colorful as, for example, at the Maldives or in the Red Sea, but we also have something to see! Moreover, the divers are attracted not just by the beauty itself, not just the beauty makes dive again and again into the dozens of meters of water column. Here we are talking about overcoming your fears, about training the body, managing your breathing. The top class for a diver is free diving without an oxygen cylinder. A normal person can hold breath for no more than a minute. But, as it is known, the human body has practically no limits; if you train hard, you can achieve amazing results. Today, there is an official free diving discipline called Static Apnea. The intention is to hold breath under the water against a clock. As of today, a Spanish Alex Segura is the current Static Apnea champion. In 2016 he was holding his breath for the whole of 24 minutes and 3 seconds (information source https://www.syl.ru). But even in order to perform the simplest dives, at first, you will have to undergo academic training, training either in a limited water space (pool) or in open water. And only having received an international certificate, you will be allowed to dive independently. There is a lot of dive clubs in Kazakhstan. The largest of them are located in Almaty and Ust-Kamenogorsk. In Almaty: training in closed water takes place mainly in the Dynamo basin, and dives in the open water area in the Kapshagay Reservoir. The base of the diving center of Ust-Kamenogorsk is located in a picturesque place of the Eastern Kazakhstan region, the Sibinsk Lakes, 70 km from the city. Here, training is only in open water. In the opinion of the divers the best places for diving in Kazakhstan are Balkhash, the Caspian Sea, Alakol, Kolsay, and the Sibinsk Lakes. If you do not feel very comfortable under the water, then you can experience adrenaline over the water! Of course, we are talking about rafting! This is a fascinating slide down a mountain river on canoe or special rafts. Rafting is one of the most visited tours. This is the case when you can avoid long workouts and arrange a weekend tour with experienced instructors for yourself and your loved ones. Rafting on the rivers of Almaty can be provided by the Rafting Federation of Kazakhstan, for example. The Federation team has been arranging the rafting on Turgen, Chilik, Ili, and other rivers for more than 10 years. Any person regardless of age and experience can take part in the events organized by the federation or sign up for training. 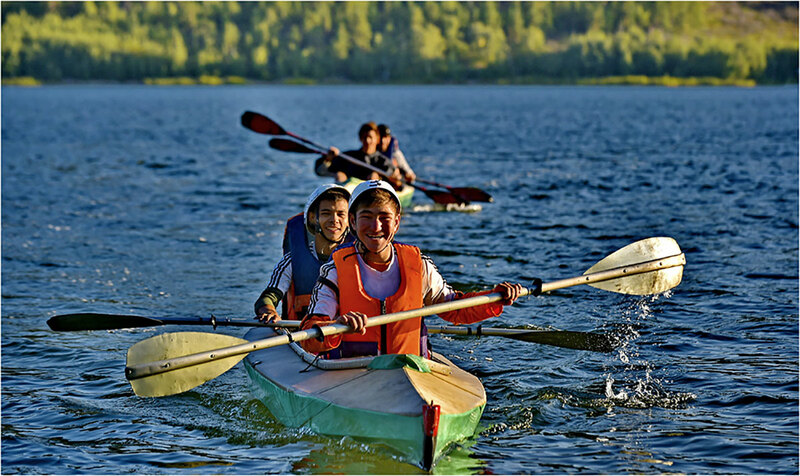 In addition to the Almaty region, rafting is very popular in Eastern Kazakhstan region. For those who enjoy these recreational outdoor activities, the Rafting Federation of the Eastern Kazakhstan region arranges one-day tours on the following rivers: Ulba, mountain river Ulbinka, Serzhikha, Gromotukha. For those who enjoy the extreme sports and water tourism the drive tours along the rivers Uba, Turgusun, Kalzhir are arranged. Of course, a parachute jump from a height of 1,000 meters will long remain in your memory! I will immediately answer a question that tormented me in my time: what if I forget to press the button and the parachute will not open? And you know what? There is nothing to worry about! The instructor will explain to you that "in order to operate the main parachute canopy the deployment bag is extracted forcibly and the parachute canopy is deployed immediately after a paratrooper is separated from the aircraft, within three seconds. You just have to go to the sky!" In Almaty region paratroopers are trained by highly qualified specialists, instructors of the parachute training air unit, the members of the Bayserke Wings team. The parachute jump training is also available in the cities of Aktau, Kostanay, Rudny, Uralsk, Ust-Kamenogorsk, Shymkent. The colorful wings of paragliders on Ushkonyr in Almaty region always attract an eye. The training flights, competitions take place almost all year round here. And during the Christmas Holidays, you can even see Ded Moroz and Snegurochka in the sky! 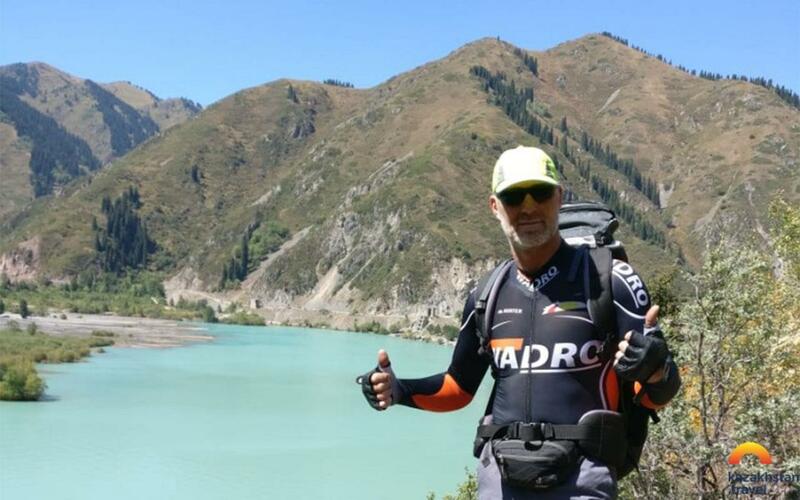 The paragliding training is available in Almaty, Aktau, Taldykorgan, Pavlodar. In Astana the Federation of Parachute Sport offers training flights on a tandem paragliders. But hang-gliding trainings and tandem flights are possible only in Almaty, in the AirTengri club. It is not difficult to become a member of the air brotherhood. You can join it only for a while, and maybe you are so drawn up by the air flow that you decide to stay in the company of flight enthusiasts for a long time! 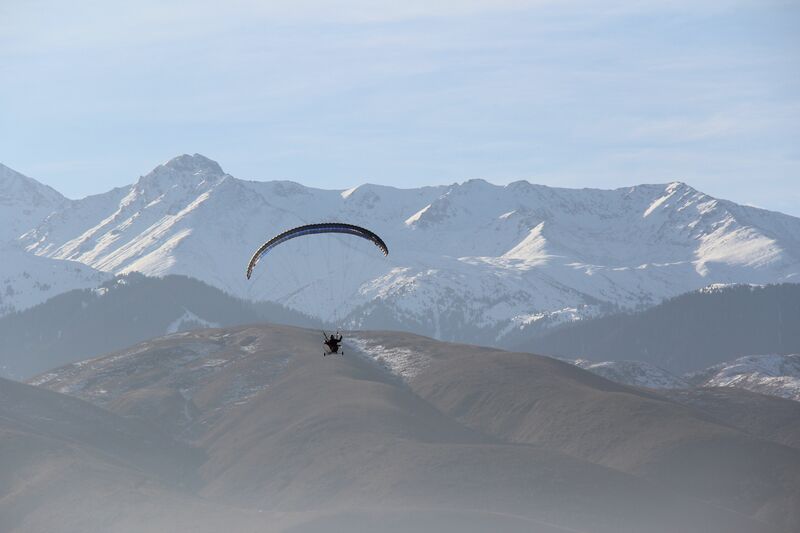 … In Almaty there are also various schools, training centers for aircraft piloting training, introductory courses for a light aviation pilots; there is even paramotors flying training (the newest and latest development in ultra-light aerial sports). The excursion flights are also offered with an overview of the sights of Almaty and Almaty region. 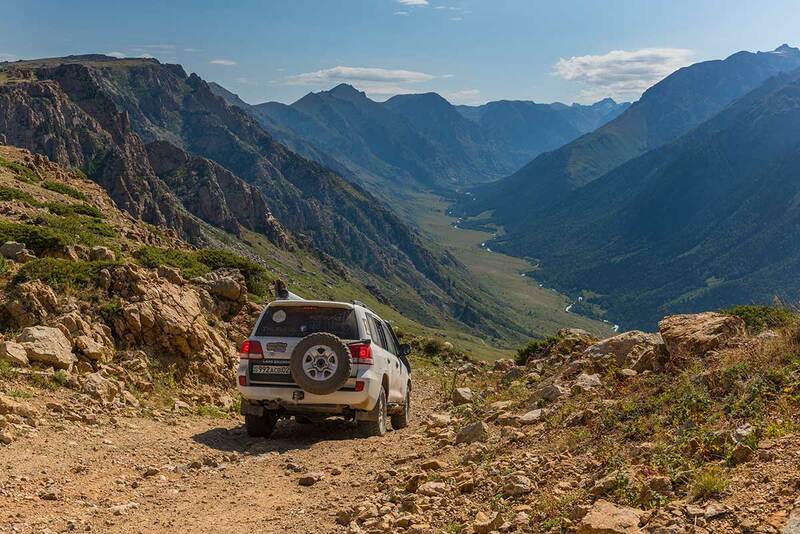 In general, it is not difficult to fulfill your desire and get your dose of adrenaline in Kazakhstan!